If the above subject heading seems internally disconnected, imagine please what my poor brain is undergoing as I read books in these different subject areas, concurrently. It is my habit to read three or more books in various stages of completion so I have a choice to suit my frame of mind and physical circumstance. The most intriguing of the books I am currently reading is The 10,000 Year Explosion: How Human Civilization Accelerated Human Evolution by Gregory Cochran and Henry Harpending. I might not have found out about this book as I did, even before it was published, were it not for Professor Harpending and I being descended from a common ancestor, Gerret Hargerinck of Nieuwenhuys, Netherlands, born in 1640. Gerret and his sons, Jan and Hendrick, emigrated to Nieuw Amsterdam, now New York City. The family changed the name a few times until it settled on ‘Harpending,’ with branches of the family spreading out to upstate New York, to Kentucky and to one or two of the northern tier states, plus Utah where my distant cousin Henry now lives. My branch was in Kentucky. But that’s another story for another day, except that I have a standing request for Google to send me links to any new web pages containing the names Harpending and Pavellas. That’s how I found out about The 10,000 Year Explosion. The first thing I like about the book is that it challenges current wisdom in its field and related fields. These would be, as far I can tell: human biology, evolutionary biology in humans and other living forms, anthropology, history, human genetics and possibly others. The second thing I like about the book is that it appeals to my own brand of common sense. Other than where it necessarily uses the language of science to buttress its authors’ assertions, it is breezy and easily understood by this non-scientist. There is already a buzz about it on the internet, most of it positive, as far as I can see, but some negative because it seems to violate some currently politically correct views on the nature of being human. I am halfway through the book and will not discuss it further here; my purpose, as usual, is to bring something interesting to the attention of the readers of this journal. And, there is plenty enough discussion about the book available on the Internet. As for “Alternatives for Blogging,” I have considered changing from Blogspot to WordPress in which to base my blogs (which I have now done, including articles previously published in Blogspot). 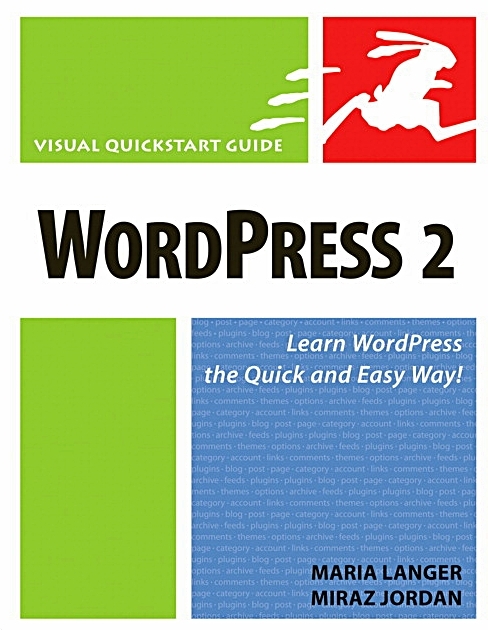 Before I chose Blogspot, in April 2007, I did buy WordPress2: Learn WordPress the Quick and Easy Way, by Maria Langer and Miraz Jordan. I’m not good with details, or at least am impatient, so I ultimately chose Blogspot because the format was set up for me and the hosting is free. I will, however, review the book and other writings of the authors to see if I might be better off learning the WordPress way (I was, and am). In May, 2008, I wrote an article, on the Autism Disorder Spectrum, which was inspired by the book Born on a Blue Day. A friend who has an interest in the subject lent me the book Autism From Within—A Handbook, by Hilde De Clercq. My friend translated the book from Dutch into English. I have not yet read the book in full, but I can recommend it to parents and others who feel (or know) that a family member or friend has any degree of autism. It is a very intimate account of a mother’s experience in guiding her autistic child through schools and through all manner of social circumstances where people are carelessly ignorant about, even antipathetic to, children with this condition. It is very soulful. 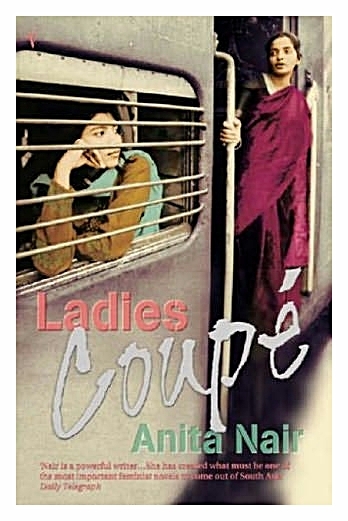 Last, the book Ladies Coupé was assigned by my book discussion group. It was written by Anita Nair. Upon reading the first several pages I became weary with the anticipation I was about to read another novel about the feelings of women. I like an action or adventure story every once in a while, and these have been few in my reading group. I persisted, however, as I always do and soon became absorbed in the stories presented here, containing as much as wonderful poetry as polished prose. The main character, a woman of India (as are almost all the characters) is 45, unmarried and wanting to change her life for a variety of reasons, well described throughout the book. She takes a train trip, traveling in the “Ladies Coupé,” a compartment for women unaccompanied by men. Her purpose is to learn from these women, of varying ages and circumstances, in order to make a decision about her own life. The stories of the other women’s lives are at least as interesting and compelling as her own, and we are treated to a look at various facets of Indian life and culture, both attractive and unattractive to this reader. Arsenic. Her name was Kalavati. With grey hair and a turmeric tinted face. Teacher of mathematics and a poisoner of minds. Reeking of garlic and with a temperament that verged on the extreme. Arsenic knew nothing of the middle path, the in-between stage. Either she was your best friend or your worst enemy. As I finish these books, others will replace them. Candidates: King Lear by Shakespeare; Working, by Studs Terkel, lent to me by a fellow writer in the Stockholm Writers Group; Rasero, by Francisco Rebolledo, sent to me by a fellow reader in the U.K. through our membership in BookCrossing; and, The Edge of Reality, by Debra Hagan Dillinger whom I met on the internet. This entry was posted in Philosophy & Psychology, Science & the Sciences and tagged Anita Nair, Autism Disorder Spectrum, Debra Hagan Dillinger, evolutionary biology, Gregory Cochran, Henry Harpending, Hilde De Clercq, human evolution, Miraz Jordan, The 10 000 Year Explosion. Bookmark the permalink.